Thursday’s Children opening line: It started with a reunion and it ended with a reunion and Frieda Klein hated reunions. 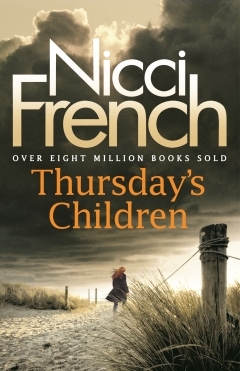 If you had read my review for Waiting For Wednesday you would probably wonder why I chose a second Nicci French book, but it was not until after I read Thursday’s Children that I went back to read my review of Waiting For Wednesday. Having read the book that preceded Thursday’s Children made it much easier to read. I understood the story better and I understood Frieda better. This book took me two days to read and it delved into Frieda’s past and explains what makes her so intimidating in her present. It is about how our lives always connect with people we once knew, and how dangerous people are lurking amongst the shadows. Frieda is given the chance to heal her past, and solve a crime that should have been taken seriously when she was 16. If you want to read this book then do yourself a favour and get the ones before it to better understand all the characters. I have read Nicci French in the past but not for a while and not these two books so interested to read your review Tandy.